A Spanish judge has instituted a judicial inquiry against seven Israeli political and military personalities on suspicion of war crimes and crimes against humanity. The case: the 2002 dropping of a one ton bomb on the home of Hamas leader Salah Shehade. Apart from the intended victim, 14 people, most of them children, were killed. For those who have forgotten: the then commander of the Israeli Air Force, Dan Halutz, was asked at the time what he feels when he drops a bomb on a residential building. His unforgettable answer: “A slight bump to the wing.” When we in Gush Shalom accused him of a war crime, he demanded that we be put on trial for high treason. He was joined by the Prime Minister, Ariel Sharon, who accused us of wanting to “turn over Israeli army officers to the enemy”. The Attorney General notified us officially that he did not intend to open an investigation against those responsible for the bombing. I should be happy, therefore, that at long last somebody is ready to put that action to a judicial test (even if he seems to have been thwarted by political pressure.) But I am sorry that this has happened in Spain, not in Israel. Israeil TV viewers have lately been exposed to a bizarre sight: army officers appearing with their faces hidden, as usual for criminals when the court prohibits their identification. Pedophiles, for example, or attackers of old women. On the orders of the military censors, this applies to all officers, from battalion commanders down, who have been involved in the Gaza war. Since the faces of brigade commanders and above are generally known, the order does not apply to them. Immediately after the cease-fire, the Minister of Defense, Ehud Barak, promoted a special law that would give unlimited backing by the state to all officers and soldiers who took part in the Gaza war and who might be accused abroad of war crimes. This seems to confirm the Hebrew adage: “On the head of the thief, the hat is burning”. But as an Israeli patriot, I would prefer suspected Israeli war criminals to be put on trial in Israel. That is necessary for the country, for all decent officers and soldiers of the Israeli army, for the education of future generations of citizens and soldiers. There is no need to rely on international law alone. There are Israeli laws against war crimes. Enough to mention the immortal phrase coined by Justice Binyamin Halevy, serving as a military judge, in the trial of the border policemen who were responsible for the 1956 massacre in Kafr Kassem, when dozens of children, women and men were mown down for violating a curfew which they did not even know about. The judge announced that even in wartime, there are orders over which flies “the black flag of illegality”. These are orders which are “manifestly” illegal – that is to say, orders which every normal person can tell are illegal, without having to consult a lawyer. War criminals dishonor the army whose uniform they wear – whether they are generals or common soldiers. As a combat soldier on the day the Israeli Defense Army was officially created, I am ashamed of them and demand that they be cast out and be put on trial in Israel. My list of suspects includes politicians, soldiers, rabbis and lawyers. There is not the slightest doubt that in the Gaza war, crimes were committed. The question is to what extent and by whom. Example: the soldiers call on the residents of a house to leave it. A woman and her four children come out, waving white handkerchiefs. It is absolutely clear that they are not armed fighters. A soldier in a near-by tank stands up, points his rifle and shoots them dead at short range. According to testimonies that seem to be beyond doubt, this happened more than once. Another example: the shelling of the United Nations school full of refugees, from which there was no shooting – as admitted by the army, after the original pretexts were disproved. These are ”simple” cases. But the spectrum of cases is far wider. A serious judicial investigation has to start right from the top: the politicians and senior officers who decided on the war and confirmed its plans must be investigated about their decisions. In Nuremberg it was laid down that the starting of a war of aggression is a crime. An objective investigation has to find out whether the decision to start the war was justified, or if there existed another way of stopping the launching of rockets against Israeli territory. Without doubt, no country can or should tolerate the bombing of its towns and villages from beyond the border. But could this be prevented by talking with the Gaza authorities? Was our government’s decision to boycott Hamas, the winner of the democratic Palestinian elections, the real cause of this war? Did the imposition of the blockade on a million and a half Gaza Strip inhabitants contribute to the launching of the Qassams? In brief: were the alternatives considered before it was decided to start a deadly war? The war plan included a massive attack on the civilian population of the Strip. The real aims of a war can be understood less from the official declarations of its initiators, than from their actions. If in this war some 1300 men, women and children were killed, the great majority of whom were not fighters; if about 5000 people were injured, most of them children; if some 2500 homes were partly or wholly destroyed; if the infrastructure of life was totally demolished – all this clearly could not have happened accidentally. It must have been a part of the war plan. (1) To cause widespread killing and destruction, in order to “fix a price tag”. “to burn into their consciousness”, “to reinforce deterrence”, and most of all – to get the population to rise up against Hamas and overthrow their government. Clearly this affects mainly the civilian population. (2) To avoid casualties to our army at (literally) any price by destroying any building and killing any human being in the area into which our troops were about to move, including destroying homes over the heads of their inhabitants, preventing medical teams from reaching the victims, killing people indiscriminately. In certain cases, inhabitants were warned that they must flee, but this was mainly an alibi-action: there was nowhere to flee to, and often fire was opened on people trying to escape. An independent court will have to decide whether such a war-plan is in accordance with national and international law, or whether it was ab initio a crime against humanity and a war-crime. This was a war of a regular army with huge capabilities against a guerrilla force. In such a war, too, not everything is permissible. Arguments like “The Hamas terrorists were hiding within the civilian population” and “They used the population as human shields” may be effective as propaganda but are irrelevant: that is true for every guerrilla war. It must be taken into account when a decision to start such a war is being considered. In a democratic state, the military takes its orders from the political establishment. Good. But that does not include “manifestly” illegal orders, over which the black flag of illegality is waving. Since the Nuremberg trials, there is no more room for the excuse that “I was only obeying orders”. Therefore, the personal responsibility of all involved - from the Chief of Staff, the Front Commander and the Division Commander right down to the last soldier - must be examined. From the statements of soldiers one must deduce that many believed that their job was “to kill as many Arabs as possible”. Meaning: no distinction between fighters and non-fighters. That is a completely illegal order, whether given explicitly or by a wink and a nudge. The soldiers understood this to be “the spirit of the commander”. 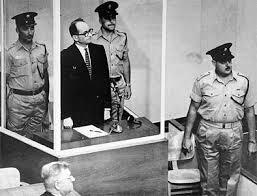 Among those suspected of war crimes, the rabbis have a place of honor. Those who incite to war crimes and call upon soldiers, directly or indirectly, to commit war crimes may be guilty of a war crime themselves. When one speaks of “rabbis”, one thinks of old men with long white beards and big hats, who give tongue to venerable wisdom. But the rabbis who accompanied the troops are a very different species. In the last decades, the state-financed religious educational system has churned out “rabbis” who are more like medieval Christian priests than the Jewish sages of Poland or Morocco. This system indoctrinates its pupils with a violent tribal cult, totally ethnocentric, which sees in the whole of world history nothing but an endless story of Jewish victimhood. This is a religion of a Chosen People, indifferent to others, a religion without compassion for anyone who is not Jewish, which glorifies the God-decreed genocide described in the Biblical book of Joshua. The products of this education are now the “rabbis” who instruct the religious youths. With their encouragement, a systematic effort has been made to take over the Israeli army from within. Kippa-wearing officers have replaced the Kibbutzniks, who not so long ago were dominant in the army. Many of the lower and middle-ranking officers now belong to this group. The most outstanding example is the “Chief Army Rabbi”, Colonel Avichai Ronsky, who has declared that his job is to reinforce the “fighting spirit” of the soldiers. He is a man of the extreme right, not far from the spirit of the late Rabbi Meir Kahane, whose party was outlawed in Israel for its fascist ideology. Under the auspices of the army rabbinate, religious-fascist brochures of the ultra-right “rabbis” were distributed to the soldiers. This material includes political incitement, such as the statement that the Jewish religion prohibits “giving up even one millimeter of Eretz Israel”, that the Palestinians, like the Biblical Philistines (from whom the name Palestine derives), are a foreign people who invaded the country, and that any compromise (such as indicated in the official government program) is a mortal sin. The distribution of political propaganda violates, of course, army law. The rabbis openly called upon the soldiers to be cruel and merciless towards the Arabs. To treat them mercifully, they stated, is a “terrible, awful immorality”. When such material is distributed to religious soldiers going into war, it is easy to see why things happened the way they did. The planners of this war knew that the shadow of war crimes was hovering over the planned operation. Witness: the Attorney General (whose official title is “Legal Advisor to the Government”) was a partner to the planning. This week the Chief Army Attorney, Colonel Avichai Mandelblut, disclosed that his officers were attached throughout the war to all the commanders, from the Chief of Staff down to the Division Commander. All this together leads to the inescapable conclusion that the legal advisors bear direct responsibility for the decisions taken and implemented, from the massacre of the civilian police recruits at their graduating ceremony to the shelling of the UN installations. Every attorney who was a partner to the deliberations before an order was given is responsible for its consequences, unless he can prove that he objected to it. The Chief Army Attorney, who is supposed to give the army professional and objective advice, speaks about “the monstrous enemy” and tries to justify the actions of the army by saying that it was fighting against “an unbridled enemy, who declared that he ‘loves death’ and finds shelter behind the backs of women and children”. Such language is, perhaps, pardonable in a pep-talk of a war-drunk combat commander, like the battalion chief who ordered his soldiers to commit suicide rather than be captured, but totally unacceptable when it comes from the chief legal officer of the army. We must pursue all the legal processes in Israel and call for an independent investigation and the indictment of suspected perpetrators. We must demand this even if the chances of it happening are slim indeed. If these efforts fail, nobody will be able to object to trials abroad, either in an international court or in the courts of those nations that respect human rights and international law. Until then, the black flag will still be waving. My good friend and colleague, John Bruce, recently passed away. JB and I knew each other since ninth grade, which makes it 50 years. He joined Zogby International as a statistical consultant in 1991 and served as our vice president and chief information officer for most of the next two decades.